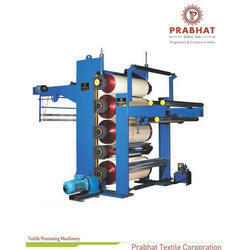 We are a leading Manufacturer of two bowl textile calendering machine, three bowl textile calendering machine, l type three bowl textile calendering machine, heavy duty three bowl textile calendering machine, five bowl textile calendering machine and seven bowl textile calendering machine from Ahmedabad, India. We offer a well designed Two Bowl Textile Calendering Machine to our customers. Required for less capacity, with running speed of 5-30 meter per minute. Operated by pipe heating, this machine is easy to install and require minimal maintenance. This is a new an innovative design with reasonable price. Cotton Bowl Cotton Bowl 600 mm (Cotton / Paper/ Polyamide) - 2 no. Being the leading names in the industry, we offer a functionally advanced array of Three Bowl Textile Calendering Machine. Our entire product range is durable in nature and ensures wide applications. They are sturdy in construction and are used in varied industrial sectors. Moreover, we offer them in well-defined time. L Type Three Bowl Textile Calendering Machine are developed and designed at our vendors base using optimum grade raw material in accordance with industry laid norms and guidelines. All these calender machines are widely appreciated by our valuable clients for their excellent features such as high durability and high tensile strength. 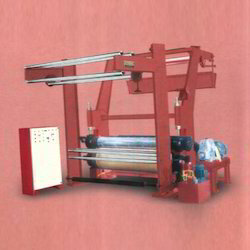 Our valuable patrons can avail from us a wide gamut of Heavy Duty Three Bowl Textile Calendering Machine. These machines are developed and designed at our vendors base using optimum grade raw material in accordance with industry laid norms and guidelines. All these calender machines are widely appreciated by our valuable clients for their excellent features such as high durability and high tensile strength. Cotton Bowl 600 mm (Cotton/Paper) - 3 no. 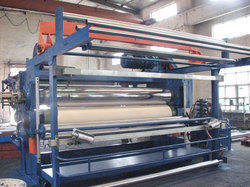 We offer a wide range of Five Bowl Textile Calendering Machine. A Machine made up of solid one piece mild steel walls, with pressure capacity of 5 – 60 tonne and running speed of 5-70 meter per minute. 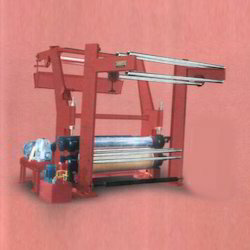 The machine is run by gas, electric or steam and designed with quality heating roller, which provides efficient operations. Steel Bowl 350 mm (Steel) - 2 no. Cotton Bowl 600 mm (Cotton/Paper) - 4 no. Its a machine in which cloth is made smooth and glossy by being pressed through rollers. 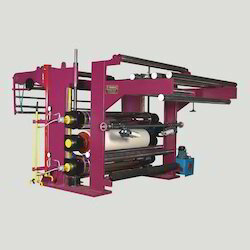 In Seven Bowl Textile Calendering Machine, there are 7 bowls fitted to the machine with roller, which deliberately presses the cloth passing through it. The product is used for the calendering the pure cotton fabrics, chemical fiber, bast fiber, wool spinning and blended fabrics. It is also used for the roll compacting of building materials, plastic packing materials and paper. 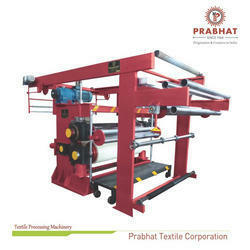 Our organization is engaged in offering a wide gamut of Textile Calendering Machine. These machines are widely used in various textile industries for riffing of aluminum foil, aluminum plate, wallpaper, wall cloth and plastic. All the machines offered by us are manufactured at our vendors base using quality approved raw material. Further, these machines are mainly used for batik fabric and immensely popular in between domestic and foreign customers. 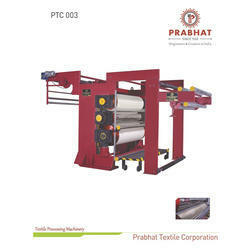 Our organization is engaged in offering a wide gamut of Automatic Textile Calendering Machine. These machines are widely used in various textile industries for riffing of aluminum foil, aluminum plate, wallpaper, wall cloth and plastic. All the machines offered by us are manufactured at our vendors base using quality approved raw material. Further, these machines are mainly used for batik fabric and immensely popular in between domestic and foreign customers. 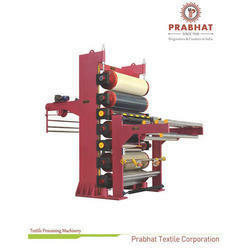 Looking for Textile Calendering Machine ?